Gamer, podcaster, BBQ lover, I've been playing Heroes since the Closed Alpha. I currently co-host Lords of the Storm, a Heroes podcast, as well as blog for Heroes Hearth. 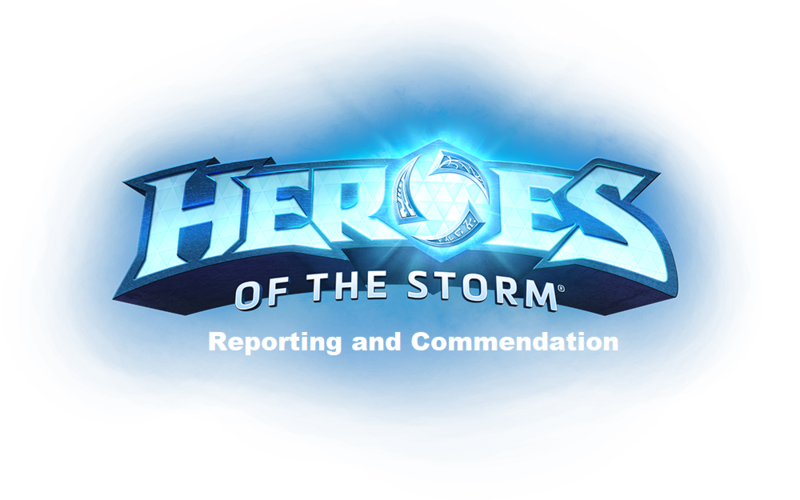 The subjects of Reporting and Commendation in Heroes of the Storm have been ones that I’ve been thinking about a lot lately. I see a lot of complaints, particularly in the area of reporting, that people are unhappy or unsatisfied with the current implementation. Being one of those people, I thought I would go through some improvements that I think could be made to the reporting system, as well as expand out and talk about a commendation system, which only exists in the game currently in an incredibly minimalistic way. While Heroes has a reporting structure currently in game, the current implementation is fairly bare bones. You have an option to report a player which will then give you a list of reasons you can pick from (I would like to see “Other” as an option here too), then a spot to fill out a short description. You then submit the report and as far as you know, it disappears into the Blizzard ether, never to be heard from again. Now of course in reality there is a lot more going on behind the scenes. We have proof from several Blizzard posts that reporting does in fact work, and they regularly issue punishments. The problem lies in the feedback loop. As far as I’ve been able to confirm the only indication, besides the general Blizzard posts, that your reports are doing something has come in the form of an occasional, generic email thanking you for reporting. In my opinion, the players need more than this. Now of course this wouldn’t be the exact wording, but you can see how something similar could be a real boost to what is currently sent out, and makes me feel that my actions led to a more tangible disciplinary process. As an extension of this, you could also give these alerts in game upon login, much like the pop ups that we get for end of season rewards. Secondly, an increase to the number of players allowed on the ignore list would be helpful. When you have a free to play game where an unlimited number of accounts can be easily made, something like this, especially for active players, can be extremely helpful. In addition to this you could also implement some sort of decaying timer that would make you less likely to get matched with people on your ignore list for a period of time. This could also help the situations where you report someone in a Hero League game, only to have them end up on your team again in the very next game. Something like that would of course have to be limited/implemented carefully to avoid abuse. So what about improving player behaviour? Right now Heroes unfortunately has very little in this space. The extent of our commendation system is a screen at the end of the game, showing four people that excelled in various gameplay situations and one MVP. Then you are allowed to “upvote” these people, and if you get enough, you get a cool little graphical flash and a voiceover. My approach to the commendation system would be two-fold, a short term and long term roadmap for the game. The reason I’m breaking these out is that I’d like to present something that could be doable with minimal extra work in the current system, and could then be built upon later when time and resources allowed. Short term I would like to augment the current MVP system, making it more appealing to use as well as more appealing to get included in (in essence, hopefully decreasing the amount of toxic behaviour or purposeful bad play). To start, I would like MVP screen upvotes to provide a small amount of shards per vote. MVP could also potentially provide a small amount automatically. I like the idea of shards as rewards because for one there is currently no other method of earning them besides loot chest duplicates, and two they are arguably the most valuable currency, allowing for you to craft almost every item in the game. Longer term I’d like to see a full commendation and sportsmanship system rolled out. When it comes to this type of system there’s really no need to reinvent the wheel, and League’s Honor System and Overwatch’s Endorsement System both offer good places to start. I envision a system that would start right after the MVP screen. The end of game screen would be completely redone with a front and center ui element that would allow you to commend your teammates. This could be as simple as having one or two “smiley faces” to give out to people you consider good teammates or who played well, to as complex as having specific title rewards you could give out to one or two people like “Shotcaller”, “Hero Master”, “Team Player”, etc. This could then run alongside the season time periods in the game, ensuring that the information is at least reasonably recent. With enough specific title rewards, you could then get a special portrait or name badge to display, and though it would only last for a season, it could be easier to get in subsequent seasons, if you keep your gameplay and good attitude up. Getting reported and/or failing to receive title rewards could make it more difficult to earn them back in subsequent seasons, or perhaps even revoke them in the current season (if your account was actioned on via reporting for example). Rewards on the track could include loot chests, shard/gold/gem lump sums, special portraits, etc. The reward bar would fill infinitely throughout the season and show you the next 1-3 rewards that you will be unlocking, hopefully giving you incentive to continue to play well and be a good sport. With a non-specific “bar filling” system like this, if would be easy to also put some protections in place to avoid abuse. Friends commending you may not be weighed very heavily, or the same person commending you multiple times in a row, or over X period of days. Unique player commendations would be more heavily weighed, showing that you can be a team player from game to game, but the exact formulas would never be made public to help protect the integrity of the system. Finally, on the opposite side of the bigger ignore list, we need a bigger friends list. With Blizzard games growing more and more, and even non-Blizzard games being added to the launcher, it’s become clear that the current friend limit and organizational system is inadequate in the current environment. This is exacerbated in games like Heroes that encourage (or should encourage) teaming up with friends, as well as things like the new Team League that promote finding new people you play well with and grouping with them again. A bigger friend limit *and* a better way to organize them could go a long way towards contributing to the community aspect that these games bring. I think systems like this could go a long way in helping to curb toxicity, as well as giving players that “mental boost” whenever another person, and not just the system, gives them a commendation. 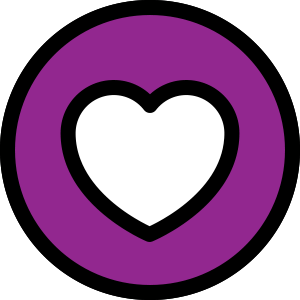 Do you have any ideas on how to improve reporting and commendation? Please leave them below, and I’d love to read them. If you’d like to find more of my content (interviews, map concepts, and articles), you can check our my HeroesHearth Blog, and I also appear weekly on the Heroes podcast Lords of the Storm! Great suggestions all around. I hope we hear SOMETHING on this front (with an actual defined implementation time) at BlizzCon! thanks for this post -- hadda add the one thing that seems most broken to me in the system -- many times i've silenced/reported someone, only to be matched with them. sometimes in the very next game. but also sometimes, many days later -- if you silence/report someone you should NEVER be on their team ever again. this seems obvious/simple.... yes it may add to queue times... but i think we'd all rather wait than get repaired with that troll.